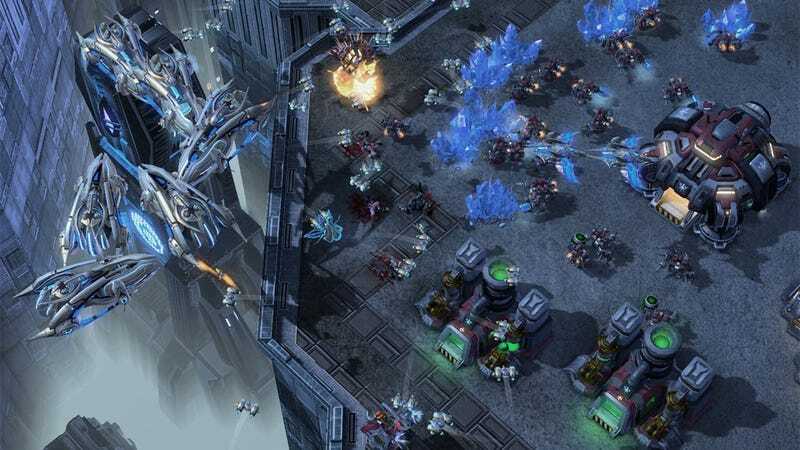 Still on the fence about StarCraft II: Wings of Liberty, Blizzard's spacey real-time strategy game? Maybe the StarCraft II: Starter Edition, the game's revamped demo, is for you. It's the bigger StarCraft II demo that's less restrictive. Unlike the previous StarCraft II demo, there are no time restrictions on the Starter Edition, meaning you can play the same missions over and over and over and over and over again, if you'd like. You can also play a little multiplayer (as Terran only), take on StarCraft II's AI and see a quartet of the game's maps. Here's everything you get, as laid out by Blizzard Entertainment. The first four missions of the StarCraft II: Wings of Liberty single-player campaign, including Mar Sara 1-3 and the choice to embark on Tychus's first mission or Dr. Hansen's first mission. The first two Challenges: Tactical Command and Covert Ops. Access to the Terran race in Custom Games and Single-Player vs. AI. Who's game? And if you're just now getting excited about last year's sci-fi strategy game, what's taken you so long?